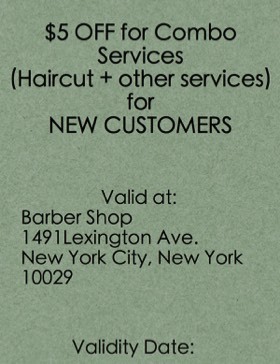 Pro Barber Shop has been in the haircut and hair care business since 1997. We specialize on quality men-style haircuts and we serve both male and female of all ages. We are one of the few barbershops in New York who offer home services and we are continuously innovating our products to provide you with the best service a Manhattan barbershop could offer. So, the next time you drop by our neighborhood at the East Side of New York, just look for us on-line. You can rely on us to cut your hair, the right way.